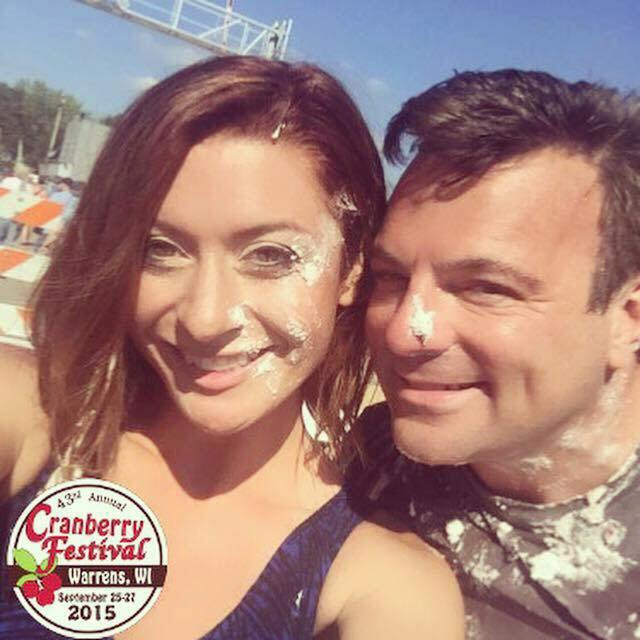 Warrens is “Wisconsin’s Cranberry Capital,” so it’s only fitting they host the World’s Largest Cranberry Festival! 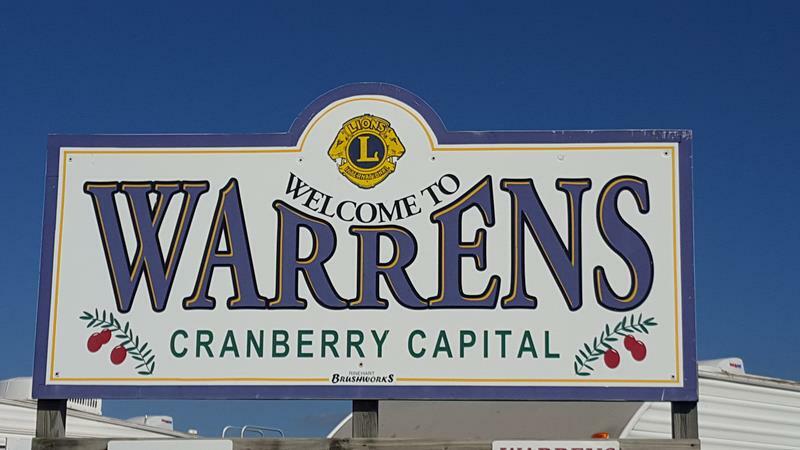 Held annually since 1973, the Warrens Cranberry Festival welcomes over 110,000 visitors each year from places all over the world. Seriously, when we went we met people from Australia and other countries throughout Europe and South America! Taking place the last full weekend of every September, activities a’plenty abound. Enjoy a guided bus tours of cranberry marshes (brilliant red colors mean you should have your camera ready!) and bogs that show you the harvesting of these tasty, nutritious, UTI-fighting berries. 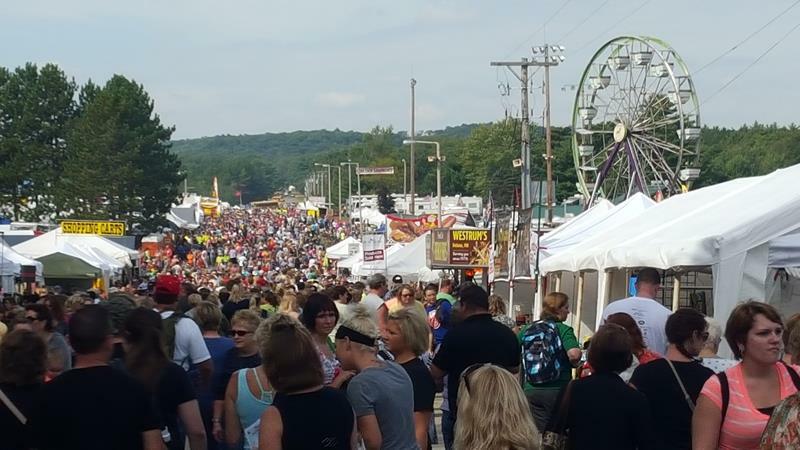 In town – and the festival truly takes over the whole town – enjoy block after block of vendors, food stands, and beverage stops. Over 1,300 booths of arts & crafts, antique & flea markets, and farm market items can be explored and enjoyed. Plenty of fall produce is available with of course plenty of cranberry-based items including Cranberry Cream Puffs, barbecue sauces with cranberry, cranberry-inspired hot sauces, and more. On Sunday, September 24th at noon the largest band parade in Wisconsin will be featured. Warrens Cranberry Festival includes contests such as “Crazy for Cranfest”, where guests can win special prizes for crazy or creative costumes. They also have prizes for the Biggest Berry Contest, a Button Design Contest, a Cranberry Chiffon Pie-Eating Contest, a Flower Contest, Marsh Medallion Hunt, a Photography Contest, Quilt & Needlework Contest, Scarecrow Contest, and more. Warrens is a small, pleasant town north of Tomah in Monroe County. To access Warrens, follow I-94 to Exit 135 (County EW) by the Three Bears Resort. U.S. 12, which runs basically parallel to I-94 in this area, also comes close to Warrens. Highways 21 and 173 are just a few miles away, closer to Tomah but they still bring you close. Follow County O or EW into town – there will be plenty of signs!